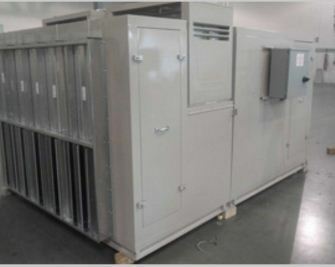 Our product range includes a wide range of Single Skin Air Handling Unit, Double Skin Air Handling Unit, Modular Operation Theatre, Horizontal Laminar Air Flow System, SS Wash Basin With Auto Tap and HVAC System For ICU. Pharmagrid Technical Services Pvt. Ltd is a well-known professional firm that caters to the health care sector by designing, manufacturing, installing, and supplying modular Operation Theatre (O.T) in India. We are also a trusted name when it comes to the annual maintenance of such setups. Our pride is our team of professional engineers, manufacturers, consultants, and service providers, who are well-versed in utilising advanced technologies and facilities to offer you the latest products along with absolute customer satisfaction. The process of production is carried out under the supervision of our professionals so that products meet the industry standards of quality and functionality.